The world is ever-changing and at present, the pace of this change is tremendous. Everywhere we look, there are situations progressing so rapidly, that it can be difficult for us to keep track. One of these aspects of change involves a mass awakening of consciousness which appears to be spreading faster than any other movement in history. In less than a decade, much of the world's population has awakened to the greater truths which were formerly hidden. We have uncovered much of the reality that has been concealed behind the social machine of corporate consumerism, superficial entertainment, and chemical distraction. The world of fiction no longer appeals to us as much as the prospect of uncovering the truths long-hidden by a corrupt, corporate elite. As momentous as the post-millennial awakening has been, there seems to be an opposing effort to stifle and squelch the people's growing desire for truth, and to instead, maintain the people's mental dependency upon the establishment. The efforts by corporate elitists to maintain this control have come in the forms of propaganda campaigns and mass censorship against anyone and any source which threatens the established illusion of reality. As time has progress--especially in the year of 2017--the fact of the existence of corporate censorship and propagandization have been made painfully obvious. It has been well established that tech companies such as Google, YouTube, Twitter and Facebook have been enforcing increasingly Orwellian policies as of late. The number of users who have been shadow-banned, blocked, and apparently censored for no apparent reason has contributed to the significant suspicion that these companies have taken a downturn in their ethics practices. Since mid 2017, crowds of people have complained of either being penalized by these tech giants for either minor offenses, or for committing no offense at all. Many of these people complain of being barred altogether without a single notification from these social media platforms as to why. This questionable behavior by social media companies has raised many suspicions that these companies were actually punishing users for thinking independently and for openly rejecting corporately promoted narratives. This suspicion of foul play by social media companies remained as mere suspicion for a long while. However, the truth now appears to have come forward. Recently, the alternative social media outlet, GAB, teamed up with well-known investigators at Project Veritas to uncover the hidden skulduggery taking place at the corporate office of Twitter. Below is a general email message sent out to many GAB users informing them of this investigation and its findings. Since August 2016 Gab has been leading the way with exposing the double standards, hypocrisy, and mass censorship of Big Social Media companies in Silicon Valley. We’ve told you about shadow-banning, hypocritical one-sided rule enforcement, unfair treatment of conservatives and Trump supporters, and one-sided political agendas being pushed by these multi-billion dollar communication platforms that are used by hundreds of millions of people. Over the last several months we’ve been working closely with Project Veritas to help them infiltrate these big technology companies and expose the mass censorship and corruption happening each and everyday. Thanks to James O’Keefe and his team there is now undeniable proof of Twitter employees admitting that censorship, double standards, and hypocrisy are indeed happening on these platforms. PV Journalist: …a user end services person would deem it: “Pro-Trump,” and take it down? Mo Norai: Yeah, if they said this is: “Pro-Trump” I don’t want it because it offends me, this, that. And I say I banned this whole thing, and it goes over here and they are like, Oh you know what? I don’t like it too. You know what? Mo’s right, let’s go, let’s carry on, what’s next? PV Journalist: So, I flag something it’s going to go by you…. Mo Norai: Correct, and they you know you’re looking at it and you’re like: “Oh hey, this is Pro-Trump ….I don’t like it. The full video is a must watch and you can check it out on Project Vertias’ website here. The good news is that we are fighting back. We are building an alternative platform for The People, funded by The People. In just a few weeks we’ve reserved over $1.4 million dollars for Gab’s next funding round. Not from Silicon Valley Venture Capitalists or special interests, but directly from our users. You can join us on our journey to build an alternative platform that supports individual liberty, freedom of speech, and the free flow of information on the internet. Click here to reserve your investment in Gab and help us take on the hypocritical tech oligarchs in Silicon Valley. It is completely fine for the people to come to their own conclusions on their own and to hold their own opinions about any particular issue or political figure. However, when media companies deliberately and continually attempt to manipulate the minds of American citizens, this is a blatant violation of our human right to think and to choose for ourselves. Let's rewind the clock back to early 2017. This was when the corporate media's anti-President narrative first began to gain momentum. At that time, multiple news companies simultaneously displayed visible and consistent bias as they blatantly disrespected the newly-elected Donald Trump. This is not to say that President Trump has not been somewhat problematic in his election, but to emphasize a point. That is, there is a decent, fair, and respectable way to criticize anyone who holds the seat of American presidency. News companies up until this point have historically held to this standard. However, in late 2016 and early 2017, the corporate media completely abandoned this standard of conduct altogether. News casts, television shows, and late-night comedians all seemed to team up and continuously smear the new President in any way they could. Though the sentiment was somewhat understandable in some cases, this is not the way adults in America typically behave. The effort by corporate media to propagandize the public became evident when the reality of paid protests was disclosed. Up until that point, only rumors existed about billionaire, George Soros, and his involvement in creating astroturf uprisings. As time went on it became evident that these paid protests were being used to promote greater anti-President sentiment than there actually was. Soros, was found to be funding one anti-President protest after another in the U.S., and this was not only unethical on numerous levels, it could easily be considered sedition in a court of law. Yet despite the numerous attempts to tarnish the image of the President farther than it had been at the time, American citizens still showed a significant amount of support for Trump. Another unsettling aspect of the propaganda campaign against the American people was the censorship of online social media. Around mid-2017, users of social media began seeing an alarming trend of censorship of any information that presented President Trump in any positive light. Related links - On #PizzaGate Censorship – Would News Really Be this Worrisome to the Establishment if it Were "Fake?" The companies guilty of these violations seem to have lost what conscience they had to begin with with regard to fair treatment of their users. Let's consider the implications of a tech corporation in the year 2017 deliberately censoring and banning users based on nothing more than the users' political views and opinions. Consider the expectation of Americans that when we use a service such as social media, that we will be treated fairly and objectively. Note the contrast between the expectation and the reality of these companies denying free speech on grounds completely divorced from their written policies or any code of ethics in America today. It seems clear that the original goal of certain media companies was to control the opinions of viewers and users so that they would hate President Trump. However, when that didn't work, these companies apparently began attempting to silence the people who did not subscribe to their propaganda. If this is true, then the violations of ethical standards are clear. Either way, the growing number of disgruntled and angry users and former users of unethical media and social media companies may grow until a tipping point is reached. Let's not forget about former CEO of tech giant Alphabet Inc., Eric Schmidt, and his abrupt resignation just months before announcing a plan to censor YouTube and Google content without justification. During an interview, Schmidt informed reporters that his company intended to deny users their right to make their own choices of viewership and to remove content which Alphabet Inc and Google deemed false. This has been a common excuse for censorship since the year 2016 and seemed to be promoted right when massive political corruption and pedophilia in government were being exposed. After such announcements were made, virtually all of the large tech companies and social media platforms began censoring users who exposed political corruption and pedophilia. This showed users that these moves by tech giants had a particularly dark agenda behind them. Though it is still ambiguous as to why Eric Schmidt resigned so suddenly, it was not difficult to imagine why. When the people demand legal investigation into potential corruption of these companies, there may be little defense for these tech corporations. At present, the results are unclear. However, if the authorities wanted to begin such an investigation, judging from the clear signs which specific companies have given of their own corruption, it is not too difficult to predict where such an investigation might start. (Natural News) Bombshell undercover video from Project Veritas now reveals how social media giant Twitter has been infiltrated and taken over by left-wing cultists who occupy top engineering positions within the company while using those positions to silence all opposing views. 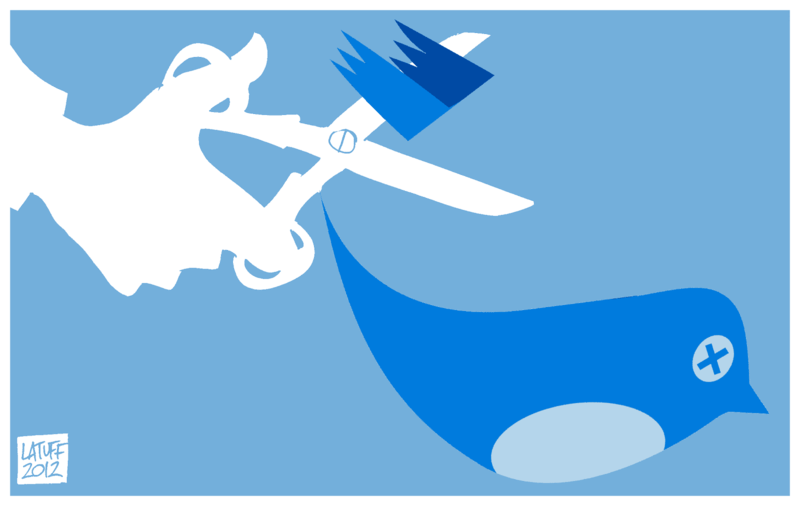 In effect, Twitter, Facebook, Google and YouTube are all run as totalitarian left-wing censorship regimes, where no ideas are allowed to proliferate unless they conform to the mass mental illness (and delusional narratives) of the unhinged Left. James O’Keefe, who is now emerging as the single most award-worthy journalist operating in North America today, has just released two bombshell videos that detail all this. O’Keefe’s upcoming book — highly recommended — is called “American Pravda: My fight for Truth in the Era of Fake News,” and you can pre-order the book at AmericanPravdaBook.com.